Learn your favourite Elvis songs on the ukulele; it's easy to play and loads of fun. 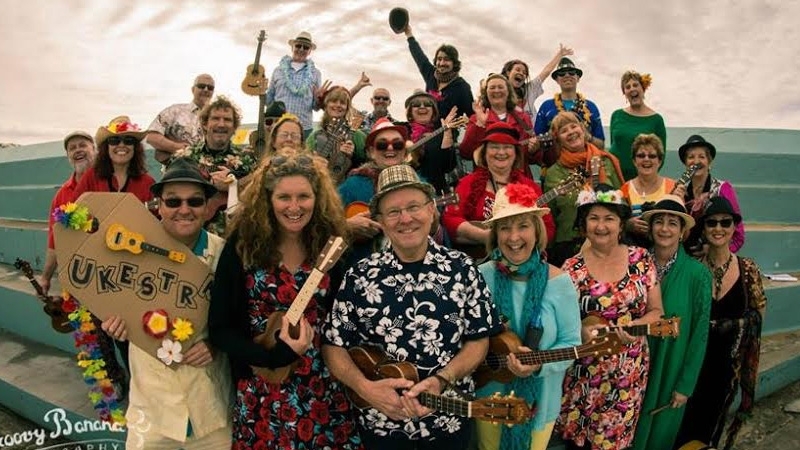 This workshop is for new players and we have ukuleles for those that haven't got one yet. Remember to bring your vocal chords too! Learn your favourite Elvis songs on the ukulele. This workshop is for those players that know a few chords and want to learn more; we teach music and create an entertaining sound. All levels of players are welcome because there are parts for everyone! Oh and bring your vocal chords too!